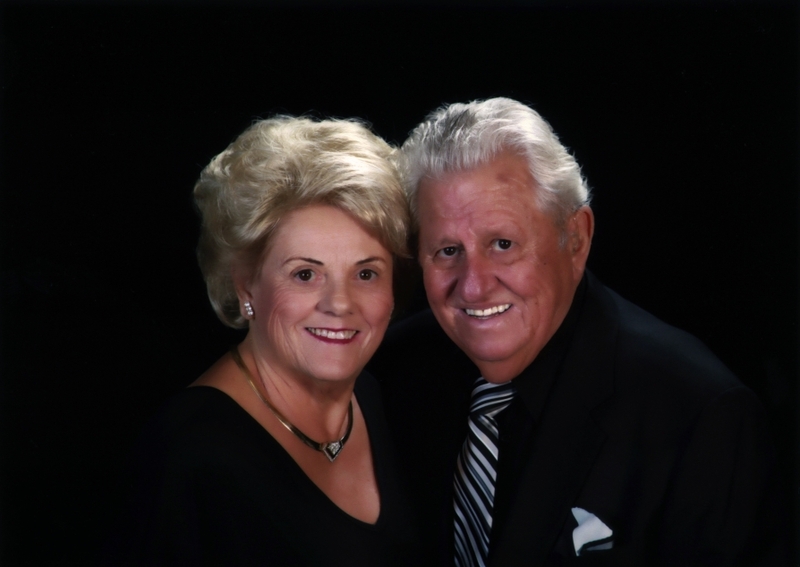 Norman and Maureen Benito have been grateful patients of Dominican Hospital over many years. For more than six decades, Norman and Maureen Benito were rarely apart. Even before they were married, the two lifelong Santa Cruz residents lived across from each other growing up. “I was married at 18 to the love of my life, the boy next door, and we were together every day for 61 years,” says Maureen Benito. And they were a full and happy 61 years. Norman started his career working for two funeral homes in Santa Cruz County, and later started his own, Norman’s Family Chapel in Soquel. And it was truly a family business. Maureen and both Maureen and Norman’s parents as well as their son, Gary, who later went into the mortuary business himself, helped to run the funeral home. “A good, simple, happy life is what we had,” Maureen says. But running Norman’s Family Chapel was just one part of the Benito family’s involvement in the community. Norman was actively involved with organizations like the Santa Cruz Elks Lodge and the Boys and Girls Club of Santa Cruz, among others. Norman was honored with a certificate for his service in the U.S. Navy by President Barack Obama. He served on the board of the Dominican Hospital Foundation for many years and on the Board of Fellows for Santa Clara University. Dominican Hospital meant a great deal to both Norman and Maureen. In fact, the two were so close with the founding nuns that they helped the young couple by babysitting Gary when he was growing up. Maureen also has a deep history with Dominican as founder of the Guild along with Angel Goscila. The first year’s event featured Merv Griffin and Eva Gabor. In 2014 at the age of 82, Norman passed away, surrounded by his family. To pay tribute to his memory, Maureen has donated $250,000 to the Dominican Hospital’s Healing Courtyard’s Initiative, which will transform six garden areas to reduce stress and promote healing for patients and their families. Maureen’s gracious donation will name the Norman & Maureen Benito Central Surgery Courtyard.